« SOLD OUT! FDT Battle Royale – Edinburgh – Ocean Terminal – Sat 29th Sept! Welcome to our second FDT Stadium event! 3 Sessions on Saturday 20th October 2018! 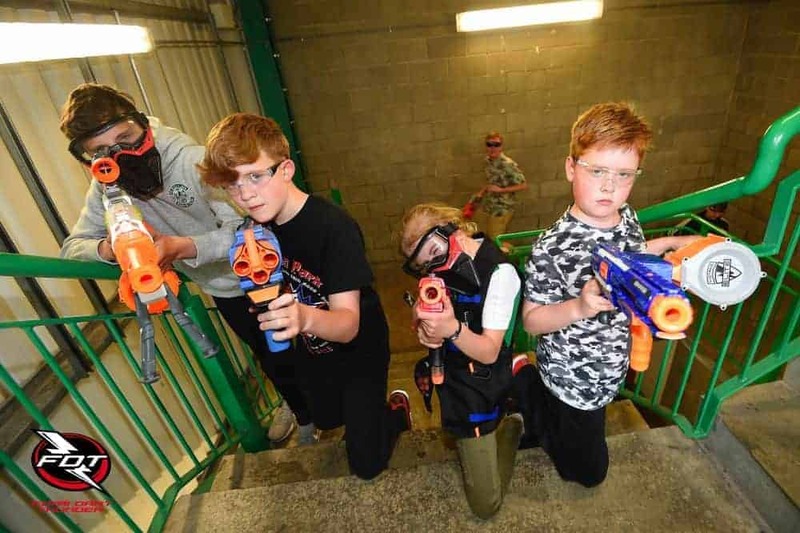 The first Nerf event at Easter Road stadium was a huge success so we’re doing it again! Battle it out inside one of the stands at the home of Hibernian FC! All players must sign a disclaimer before the event – this will be available online before tickets go on sale. Protective eyewear must be worn by all players. We will have pairs for sale on the day £5 each (kids and adult sizes).